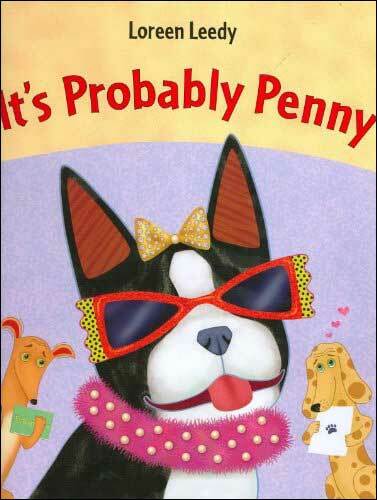 In It's Probably Penny, Lisa's class is studying probability, and her homework assignment is to make predictions about her weekend, including what will happen, what might happen, and what can't happen. The clever and entertaining situations that she conjures up--both probable and improbable--are a lot of fun and great for illustrating what probability is and how it factors into our everyday lives. Selected as a Bank Street Best Children's Book of the Year! 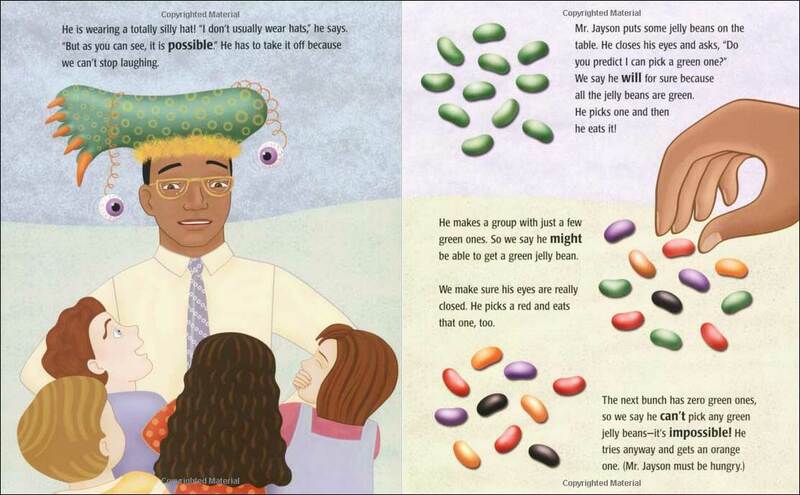 This book is a ready made probability lesson! All you have to do is read the book to your students, then give them the same assignment that Penny's class got from her teacher (to do in class or at home). After seeing the fun that Penny had with this assignment, your students will be excited to try it out too! The book makes the details of the assignment quite clear. This is one of our favorite Loreen Leedy books. The main character's enthusiasm for the subject is contagious (what teacher doesn't love that!) and Leedy's illustrations are a lot of fun, with real photographs integrated into the illustrations. 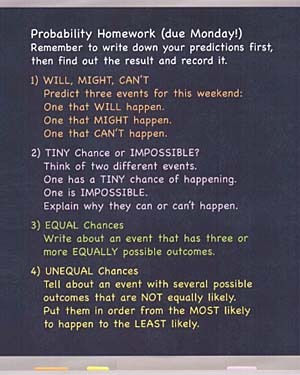 It's great for your probability lesson plans. One of the pages in this book clearly spells out Penny's homework assignment (a small version of the page is at right). 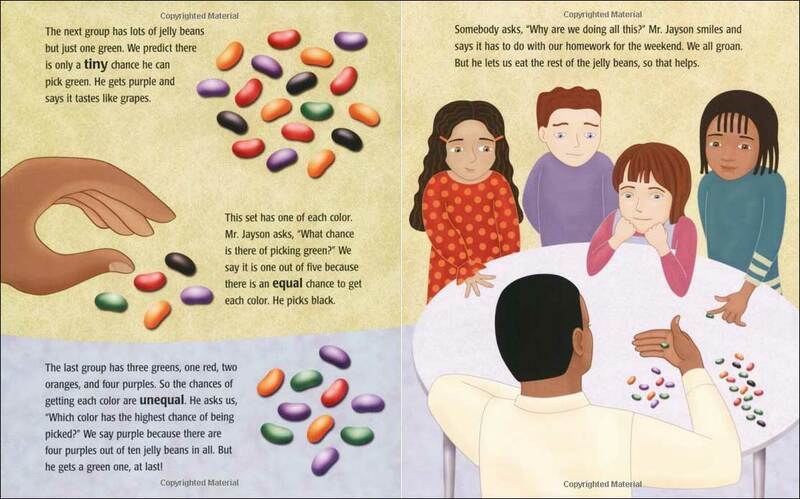 Read this book to your class first, then have them do the same probability homework assignment. After seeing Penny's fun and funny experiences while doing her homework assignment, your students will be excited to try it out for themselves! Reading this book to your class and then having the students do the same activity works well as an entire probability lesson. Then having the students complete the same assignment is the 'You Do" (aka By) portion. 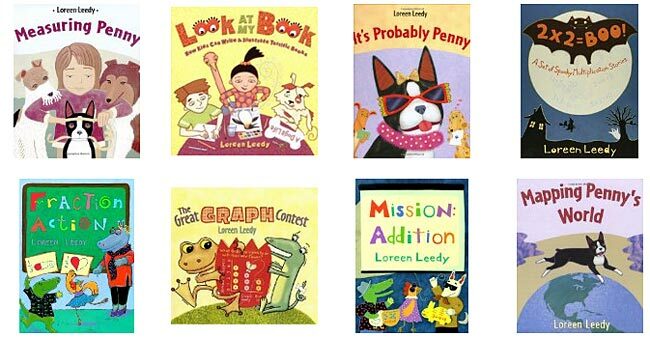 If you like this book, there are lots more math books by Loreen Leedy. They are quite helpful to use when teaching math. To check out her other books, click on the link above or the sampling of book covers below.